Dave O'Brien has produced hundreds of social-media campaigns and documentary and fiction feature films. In The Moment, the innovative HIV prevention transmedia campaign Dave created with LA Gay & Lesbian Center and the City of West Hollywood was honored with the Paul Starke Warrior Award for work in HIV prevention. His feature documentary, Equality U received the Outstanding Emerging Talent award at Outfest as well as several Best Documentary and Best Feature awards, was broadcast nationally on Logo TV and is available on DVD and streaming. He produced the indie feature The Man Who Shook The Hand of Vicente Fernandez, starring Academy-Award winner Ernest Borgnine as a man who overcomes his deep seated racism and comes to value his own life and is about to start pre-production on Shot, an indie feature addressing gun violence to be directed by Emmy-Winner Jeremy Kagan. 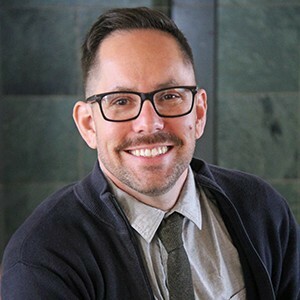 O’Brien teaches producing at University of Southern California where he is Associate Director of their Change Making Media Lab, producing cinematic content to study social and health behavior change. In a recent collaboration with the Keck School of Medicine and Annenberg School for Communication and Journalism at USC, O’Brien produced two shorts comparing narrative storytelling to an informational, non-narrative approach. The films were designed to encourage behavior change around cervical cancer prevention and HPV vaccine promotion. The National Cancer Institute funded study was recently honored with the 2013 APHA Public Health Education and Health Promotion Multi-Media Materials Award.